Mater Dei Hospital is operating “very close to full capacity”, the government has confirmed as the hospital deals with a swine flu outbreak and an influx of patients with the seasonal influenza. On Friday, Times of Malta reported that more than 30 patients were being treated for the potentially deadly H1N1 strain of influenza – more commonly known as the swine flu. The number, sources have said, is expected to increase further in the coming days. 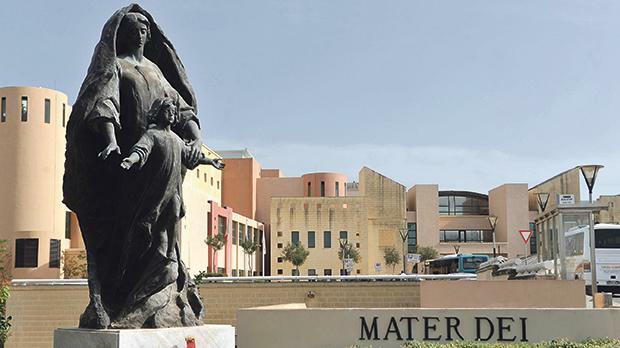 The sources, who spoke to the newspaper on the condition of anonymity, also said that there were currently no empty beds at Mater Dei since the hospital was also dealing with higher numbers of patients being admitted as a result of the seasonal influenza peak. By Thursday, at least 18 patients from St Vincent de Paul Residence were suffering from the highly-contagious influenza, while a further 15 new cases were reported at Mater Dei in the morning. Contacted about this, a spokeswoman for the Health Ministry confirmed to Times of Malta that “the hospital is operating very close to full capacity”. “The number of patients visiting the Accident and Emergency Department and requiring admission to a ward has been particularly high during the last five days. Staff in all areas of the hospital have been working around the clock to give the best possible service to all our clients,” the spokeswoman said. She also confirmed that “at some point during the last few days” a small number of patients were kept for some hours at the Emergency Department until a bed was made available in appropriate wards. No information on the number of patients who had to wait at the A&E department was supplied. The spokeswoman also did not specify for how long patients had to wait before being placed in “appropriate wards”. The sources who spoke to the newspaper said that some had waited for over six hours before being placed in a ward. On patients being moved from Mater Dei to other hospitals and facilities, the spokeswoman said that this was a “daily occurrence”. “For example some of the patients that are admitted to Mater Dei require rehabilitation after their acute phase. These are transferred to Karin Grech Rehabilitation Hospital. Similarly, Mater Dei works with other entities or private facilities that provide post-acute care support to patients so as to ensure a seamless care pathway that benefits most the individual,” she said. On the swine flu, the health ministry said in a statement on Friday that patients with the H1N1 virus that were currently at Mater Dei contracted the virus “from the community” and were admitted to hospital for the management of respiratory complications. The strain H1N1 was also included in this year’s seasonal influenza vaccine offering protection to those vaccinated, the ministry said. Up to now there were some 85,687 persons who took up the flu vaccine. This is still available for free in all health centres.